This Colonial Revival home was built in 1900 for W.H. Steptoe, proprietor of the Bouquet Cigar Company. 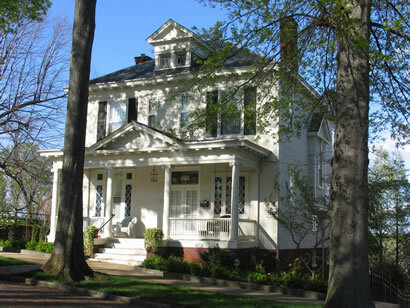 Steptoe purchased this property from A.H. Burroughs with the proviso that the existing tenement be replaced by a single dwelling to be used as a residence to enhance the value of Burrough's neighboring property.